Whats included with every test? Track all of your test results with a detailed, personalised dashboard. 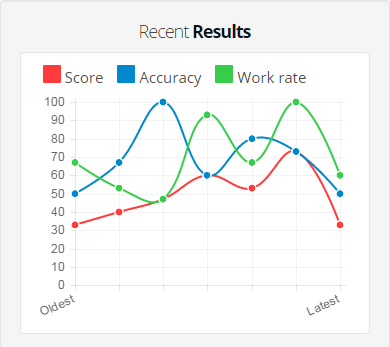 Monitor your progress to improve your skills. Our platform will give you recommendations based on your results. View the results of every question & test you take. By purchasing a test pack, you will gain access to our full test platform. Our Spatial Reasoning tests contain 15 questions each. We've been helping candidates improve their Spatial Reasoning skills since 2012 and have administrated over 65,000 tests.